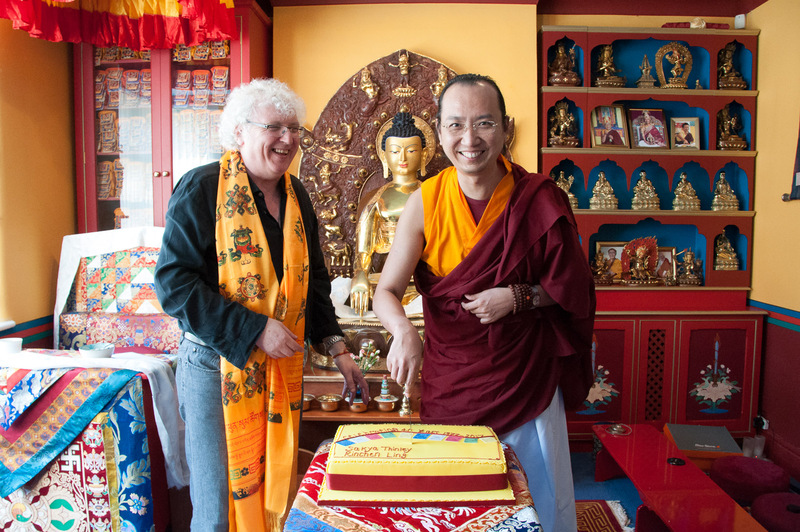 Wisdom, Compassion and Power – teachings with His Holiness the 42nd Sakya Trizin. 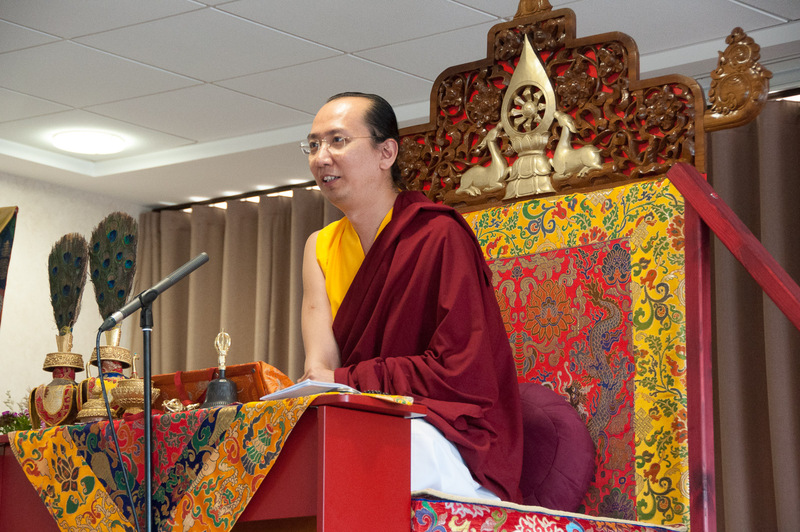 On May 26 – 28, Sakya Buddhist Centre hosted His Holiness Ratna Vajra Rinpoche, the 42nd Sakya Trizin, in one of his very first teachings as the new head of the Sakya school of Tibetan Buddhism. 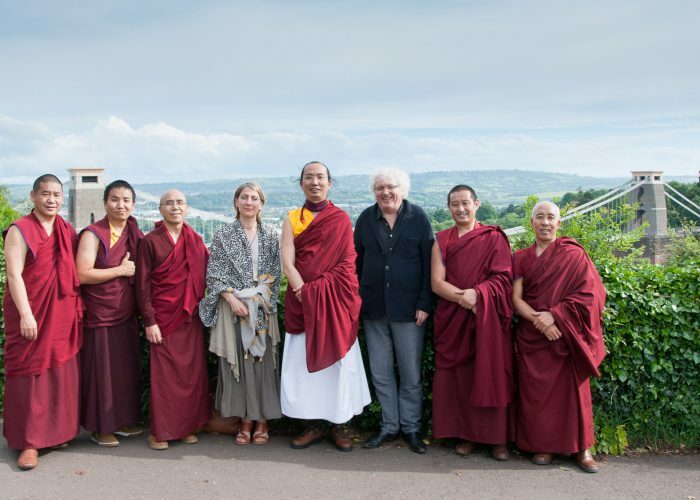 His first visit to Bristol was in 1978, when at just three years’ old, he accompanied his father the then 41st Sakya Trizin. 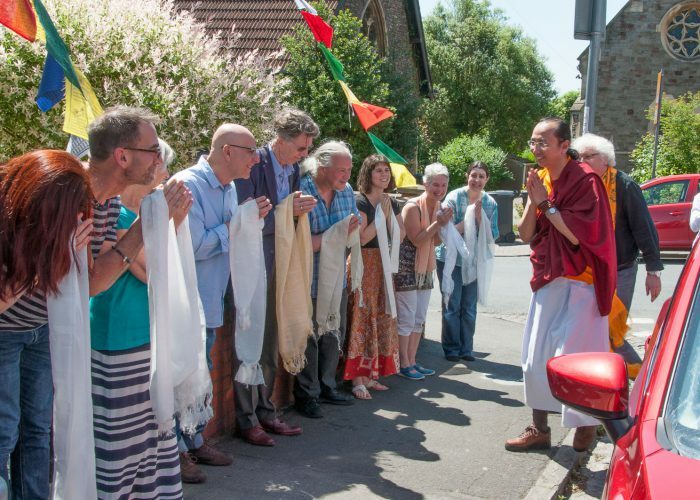 This fifth visit was particularly special, as this year the Centre (known as Sakya Thinley Rinchen Ling in Tibetan) celebrates 40 years of Sakya Buddhism in the UK. 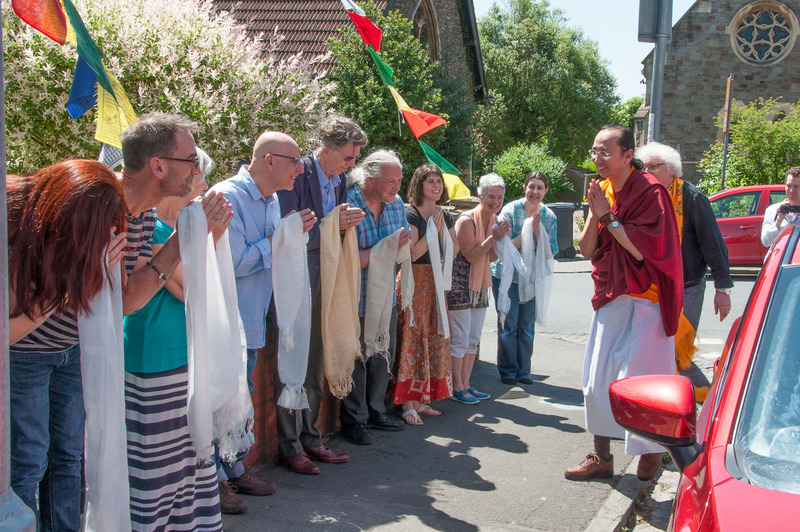 Upon arrival in Bristol, Lama Jampa Thaye, spiritual head of Dechen, gave a traditional offering in the Sakya Buddhist Centre shrine room before inviting His Holiness to cut a birthday cake for the occasion. 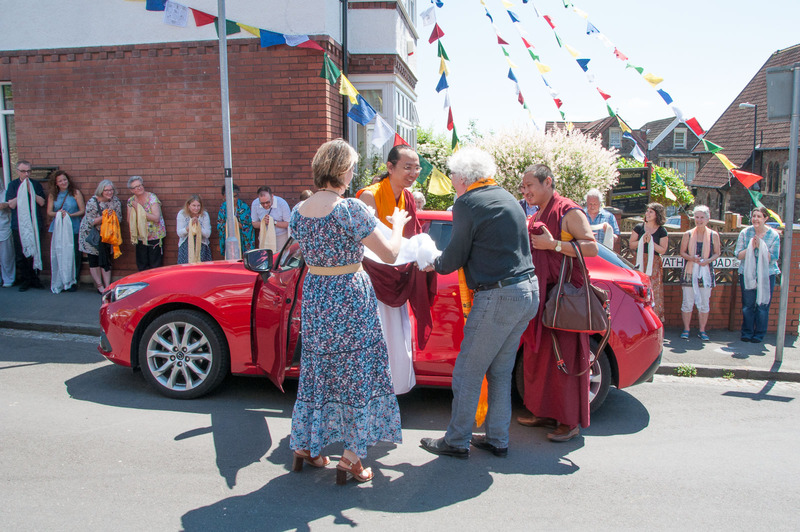 This was soon shared with all who were gathered there to welcome him and his entourage of monks. 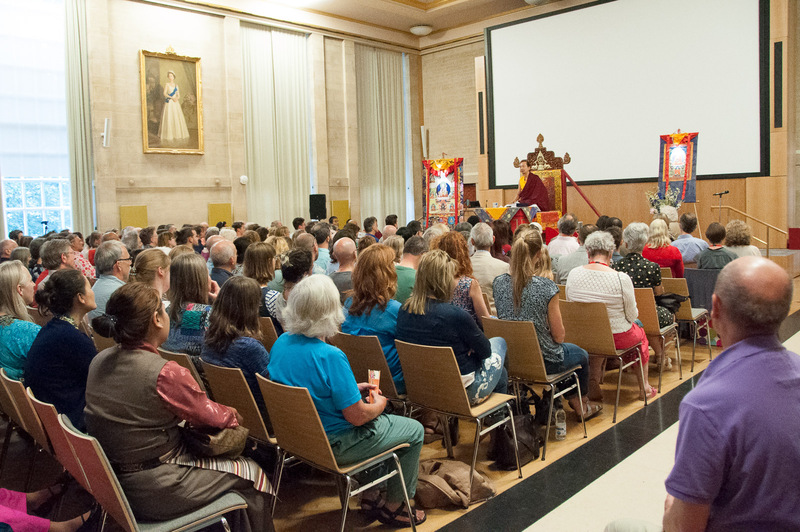 The first event in the weekend’s programme was a talk on the ‘Power of Buddhism’- or how the teachings can still transform confusion, attachment and anger even with the distractions of the 21st century. 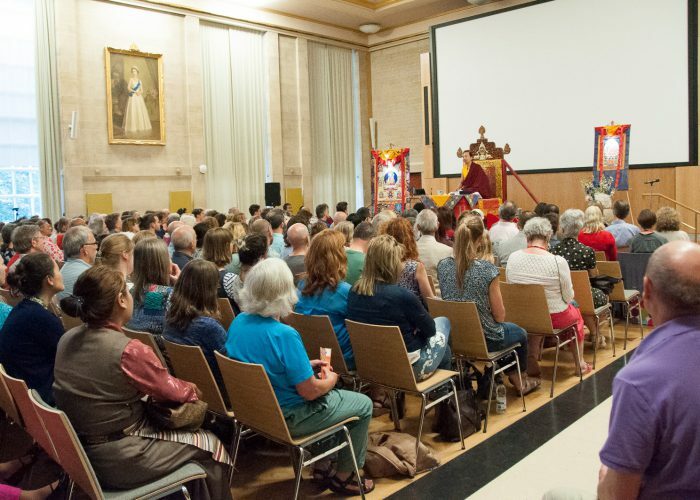 On this, the first day of the holy month of Saga Dawa, when the Buddha was born and achieved liberation, over 350 people from across the UK came and heard His Holiness explain how through developing loving kindness and compassion for all and by taming the mind, lasting happiness is possible, no matter who we are or where we are from. He also described how we can have confidence, as we have all we need to make use of the teachings, that is, our mind. 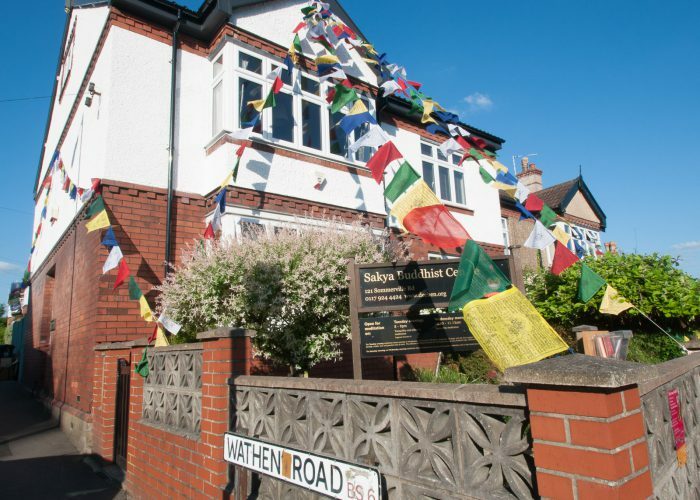 During the Saturday and Sunday, His Holiness gave a rarely transmitted empowerment of Medicine Buddha, renowned for protecting from illness and obstacles. 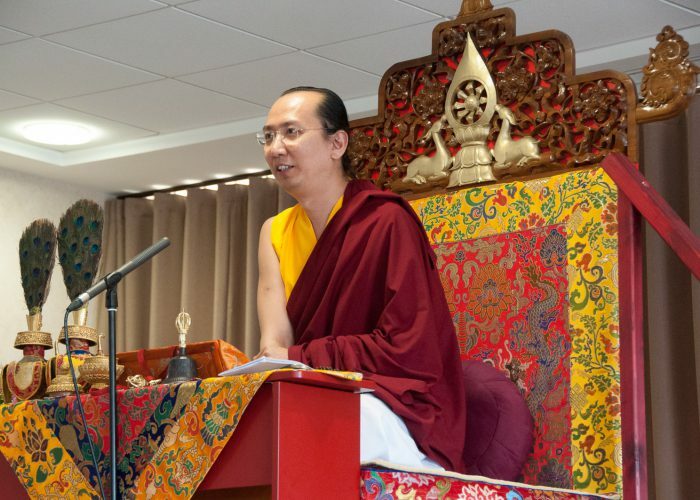 Given the importance of the teaching, His Holiness emphasised the necessity to receive these with the aim to achieve buddhahood for the benefit of all, whilst letting go of worldly distractions. 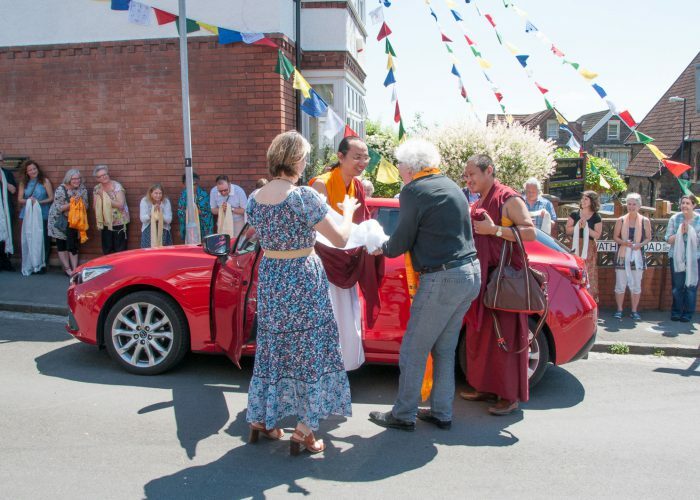 Even within this full programme, there was a little time to see some of the sights Bristol has to offer, with His Holiness and entourage enjoying the view from Clifton suspension bridge and attracting some curious glances as they visited Bristol County Cricket Ground. 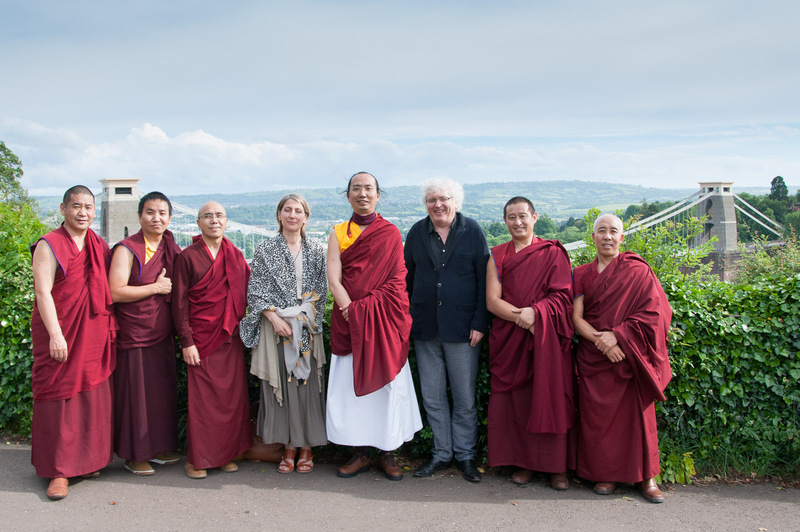 To close the visit, Lama Jampa Thaye gave warm and heartfelt thanks for the teachings and made a request that His Holiness return again to Bristol. Braving the rain, many people lined the road with the traditional white offering scarves to wish His Holiness and the monks a safe onward journey. 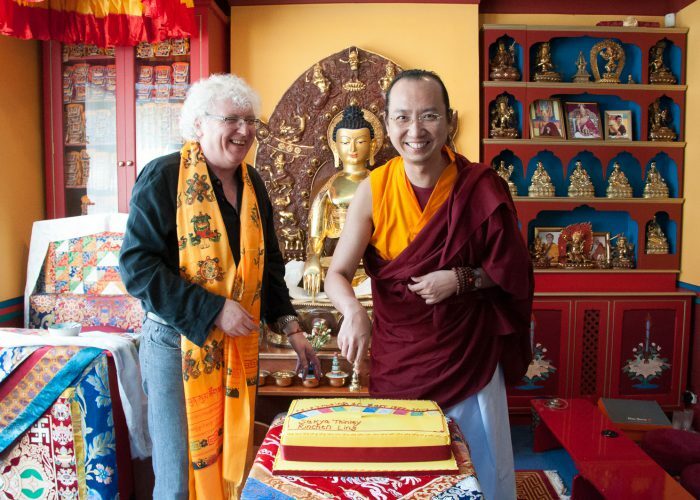 You can read more about His Holiness, the 42nd Sakya Trizin here.